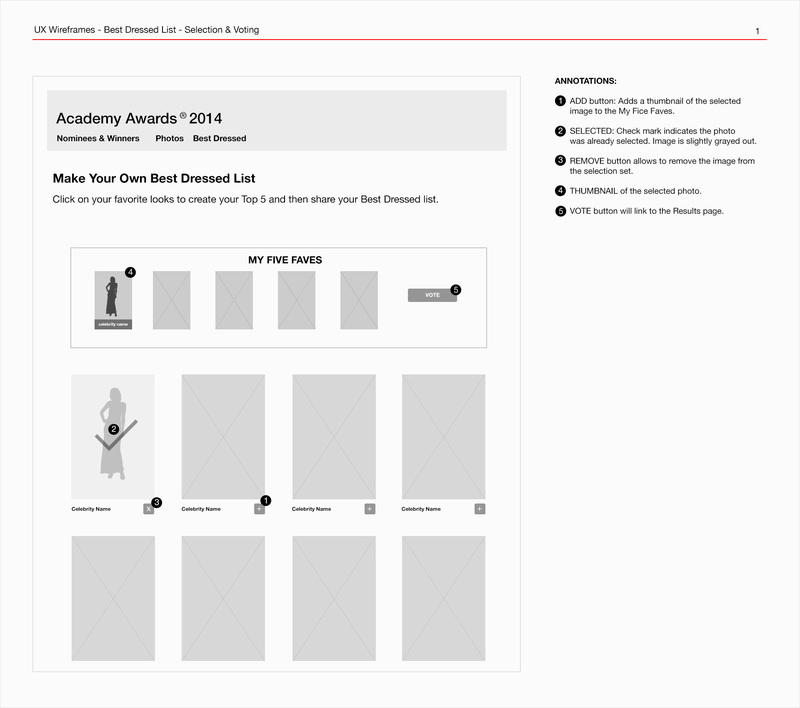 Academy Awards 2014: Landing page. Best Dressed List: UX wireframe for adding and removing a selected photo to the Five Faves list. 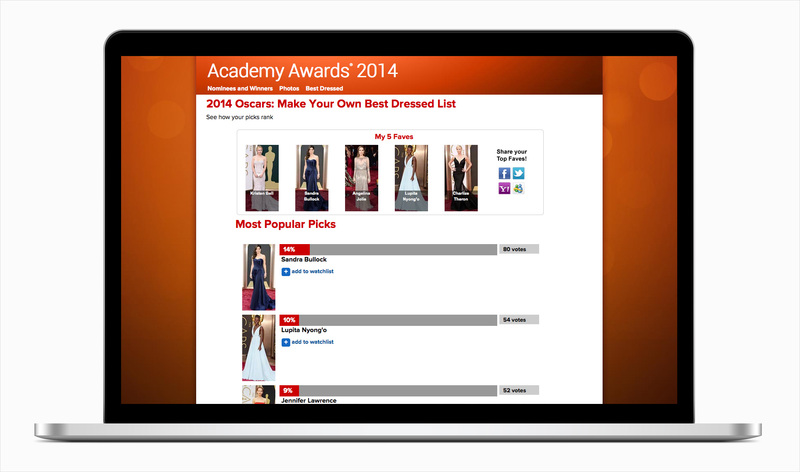 Best Dressed List: UX wireframe with voting results and sharing Faves on social media. Best Dressed List: Voting screen. Best Dressed List: Social sharing and vote results screen. Emmy Awards 2013 landing page. 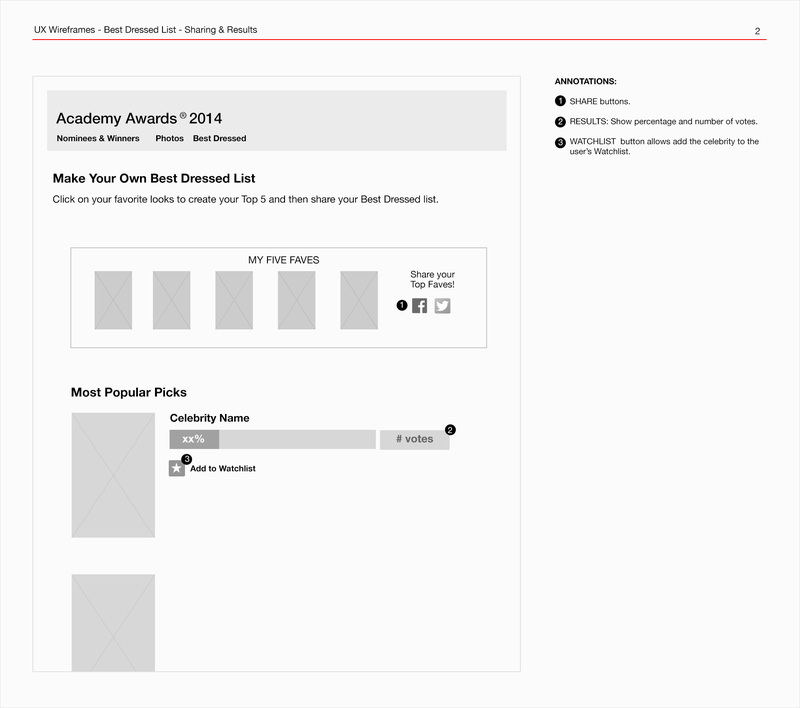 UX wireframes and visual design for TVGuide.com’s coverage of the most important television awards shows including nominees, winners and red carpet photo galleries.